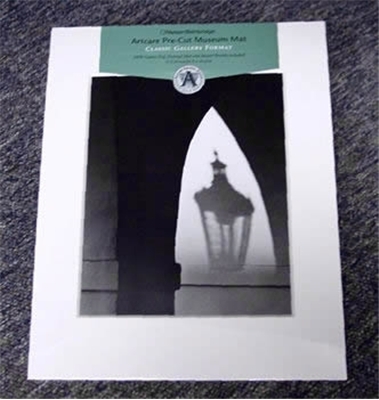 • Archival museum quality mats. • 100% cotton rag 8-ply mats are white with a white core. This is a 16'' x 20'' mat with a 11'' x 14'' Center opening.